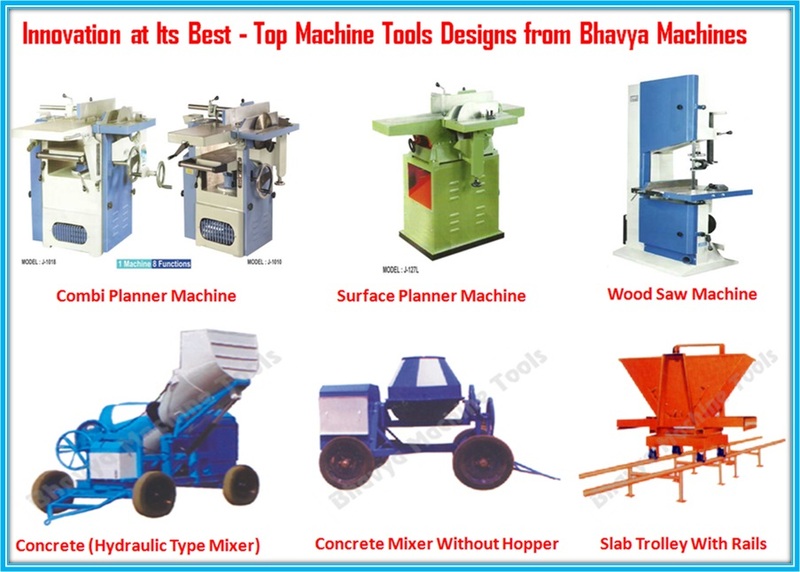 Bhavya Machine Tools is a company that deals with manufacturing and sales of machine tools in India and the rest of the world. The company has firmly established itself as a market leader in manufacturing of high quality and efficient machine tools including machining centers, drills, tool room equipments, hydraulic equipments , Sheet rolling machines, woodworking machines, welding equipments, construction machines and general workshop accessories. With more than four decades in existence, the company has made major advances in technological innovation and has been a leader in manufacturing of highly efficient and advanced equipments. We have a vision to become a global leader in innovation and development of efficient and effective machine tools, workshop machines and accessories, which will positively impact humanity and manufacturing sector. The company has a mission to develop long-term relationships with our clientele as a way of sustaining growth and reaching out to other global markets through high quality products and great customer service. To achieve the quality objectives, the company has complied to the requirements of the ISO 9001: 2008 quality management system and been certified against this standard. We are continuously improving our operations by engaging highly qualified staff and adopting strategies that will lead to business growth and success. The company upholds high business ethics and integrity, ensuring our clients and business competitors are held in high respect and ensure customer satisfaction is achieved. Our products have made it to the global markets due to the advanced technology and great workmanship, making them easy to use, maintain as well as achieve the throughput that your industry requires. Some innovative categories of products are detailed below. Some of the innovative power tools include the bench grinder, polisher, pedestal grinders, electric motors, burners, blowers and many other related accessories. General accessories include bench vices, tilting tables, self adjusting vices, precision grinding vices, Magnetic chucks, and various types of pipe vices, anvils and many other general accessories. The construction of these machine tools is such as to maximize durability and strength to handle the mechanical stresses during operation. Some important considerations in procuring the construction machines include affordability, reliability, durability, ease of maintenance and installation. The company has invested in modern manufacturing technology, which ensures that we produce equipment that meets the current manufacturing demands. Most metal forming processes involve more than one-step machining. The old model machining centers were largely unable to cope with rapid feed rates and the quality of finish required. In foundry, accuracy is a very critical element. The design of the spindle, thermal and construction stabilityare the primary considerations in choosing an excellent vertical machining center. A good spindle is able to maintain the Z axis accuracy, which is essential during manufacture of parts that are required to mate during operation. Current machines have internalas well as external cooling, enabling heat removal at the source and thermal as well as machining stability is guaranteed. This entry was posted in Woodworking Machinery, Woodworking Machines by Yash Shah. Bookmark the permalink.